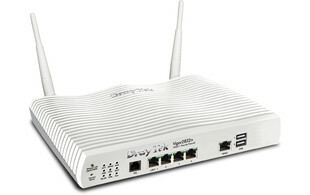 The DrayTek Vigor 2832 series is DrayTek's router/firewall for ADSL lines. 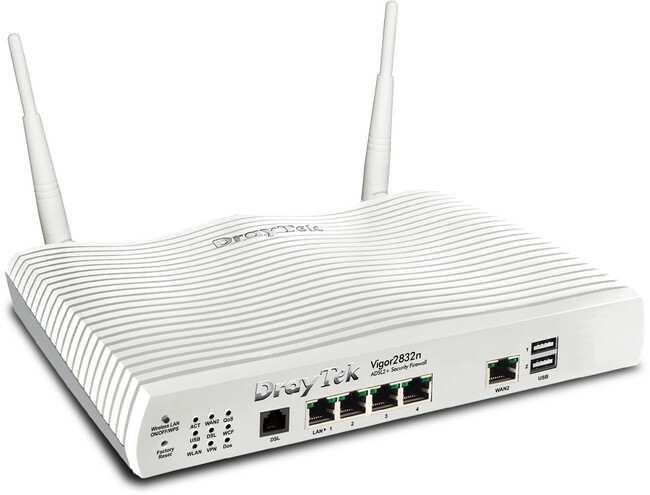 Designed to work with all variants of ADSL (including ADSL2+ and Annex M), this device is packed with professional features to increase security, flexibility and functionality, making it the ideal router for a variety of applications. 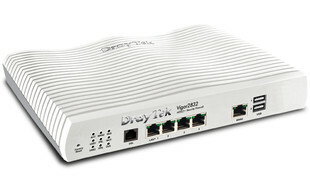 As the entry-level router in DrayTek's Vigor series of routers, the 2832 features a 200Mb/s firewall throughput, making it ideal for small VoIP deployments. With an intelligent firewall and Quality of Service (QoS), these routers/firewalls are easy for administrators to secure VoIP traffic, and ensure a guaranteed bandwidth is allocated for calls to provide a seamless experience. The Vigor 2832 series offers a secure solution with protection against IP-based attacks and access by unauthorised remote systems. These routers also support a range of advanced features such as Load balancing, VLAN Tagging and VPN. Plus, with 2 USB ports, a 3G/4G USB dongle can be used for WAN failover protection, should the primary ADSL connection fail. This facility is ideal for homes or small offices that don't want to pay fixed line and broadband rental or for temporary locations where a 3G/4G USB service may be better suited. Please note: WiFi 802.11 b/g/n is only available on the 2832n model.